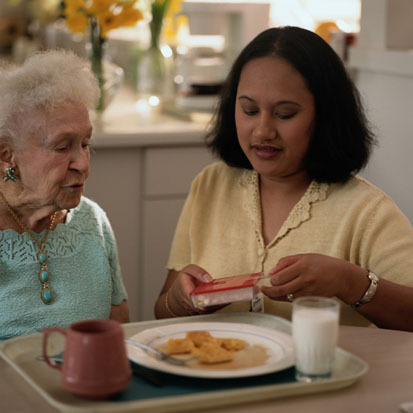 Meal times can be challenging for carers but making sure both you and the person you care for are getting all the right nutrition is an important part of staying healthy and well. If the person you care for struggles to use cups or cutlery there are adapted aids out there to make meal times go more smoothly and give the person you care for more independence. There is a range of equipment including easy hold cutlery, tubing, handles and straps for cutlery, plates, cups, trays, proactive clothing and eating systems. All these can be found on the Disabled Living Foundation's Living Made Easy website. If you aren't sure what is the best equipment to buy to meet the person's needs, then you could try AskSARA. AskSARA is a free online self assessment tool which will ask you questions about the person you care for and will then offer relevant advice, product suggestions and supplier details. The NHS have put together a handy 12 week guide containing a weekly progress and meal plan, tips, tricks and ideas to help support you or the person you care for lose weight. There is also an online forum set up by the NHS where you can chat to others about weight loss. You can get support from others to stay on track including asking others for their tips on a healthy diet. Live Life Better Derbyshire offer a losing weight programme which runs for 12 weeks. There is a community based group (similar to Weight Watchers / Slimming World) or a self-support option. Both options offer support from a weight management advisor plus regular weigh-in sessions. They have an easy online assessment to see if you or the person you care for are eligible for the service, but there are also loads of information about successfully losing weight on their website. Malnutrition is not something that's often talked about - we're all more used to hearing about obesity - but malnutrition, particularly in older people is a serious problem. Malnourishment and dehydration cause serious health problems, including infections, depression and falls. Are rings looser on fingers? Do slippers that once fit seem to be too big now? Are skirts and trousers loose around the waist? Are limbs thinner than before? Do belts need to go on a tighter notch? finding it hard to shake off colds and infections. You can use the tips below to try and increase the person's calorie count so they can put on weight. However, if you're still concerned you can contact the person's GP if you think it necessary – they won’t breach confidentiality but they can take note of your concerns. Derbyshire County Council have produced a guide for older people who are underweight called 'How to Eat Well' which includes all sorts of tips and advice including advice for carers, recipes and a sample meal planner. There is also a short version of the guide plus lots more information on the Council website. Eating together to make sure the person you support is eating properly. Eating out - Gold card holders can get discounts at lots of cafés, pubs and restaurants, so eating out doesn’t have to be expensive. Reassure the person you care for that three square meals a day doesn’t have to be the rule. It’s fine to eat little and often to snack between meals. If the person you care for is really struggling to put on weight, and you struggle with getting them to eat enough nutritional food, then fortifying and enriching food enables you to get as many calories into a meal as possible. A fortified diet means that extra nutrients are added to meals, snacks and drinks, by adding high calorie foods such as cream, butter, milk and milk powder. The aim is to provide a diet which has a higher nutrient density without increasing portion size. NHS Norfolk has a quick guide of how to add calories to meals and the best ingredients to use for example full fat milk, cream, cheese and sugar. Derbyshire County Council also have a few meal ideas and recipes for fortifying food including jacket potatoes, milkshakes and porridge. If you want further guidance on fortifying food, you can read this guide by The Royal Wolverhampton NHS Trust. It was written for care homes and includes details on how many calroies are added when you add certain foods. Wiltshire Farm Foods - if the person you look after would like to try Wiltshire Farm Food's meals before buying, you can request a free sample of a meal. Give them a call on tel: 01246 252345. They cater to speacial diets, including soft or puree diets and special requirements such as gluten free. Oakhouse foods - you can request a free brochure which includes over 300 meals you can choose from. Most supermarkets also offer home delivery on shopping if you struggle with getting to your local shop on a regular basis. Whether you and/or the person you care for are trying to gain weight, lose weight or just eat more healthy, there are loads of websites out there with a range of easy, quick and healthy meals to help you plan ahead and make meals times more enjoyable. The NHS Change 4 Life has a downloadable app and a website which has a range of different meal ideas for every occasion. The BBC Good Food website also has a collection of easy recipes that you can follow. Are you and the person you care for drinking enough? 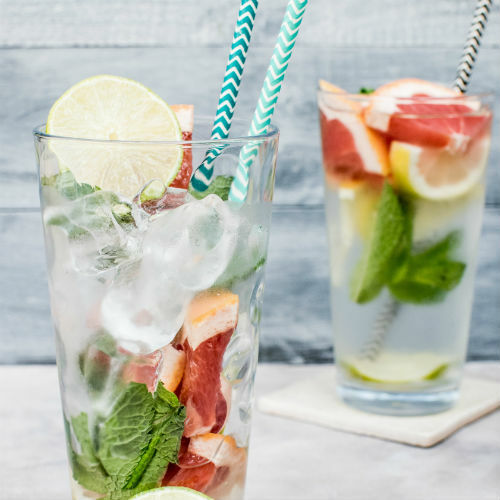 It's recommended that people drink at least eight drinks per day this can include water, milk, tea, coffee and fruit juice. pressure ulcers or skin conditions. if you've got a smart phone or tablet you can downloads apps that remind you to drink regularly. A popular one is called Plant Nanny. Have you got any good tips for managing meal times, nutrition and hydration? Let us know so we can add them to the blog. You can use our contact us form.